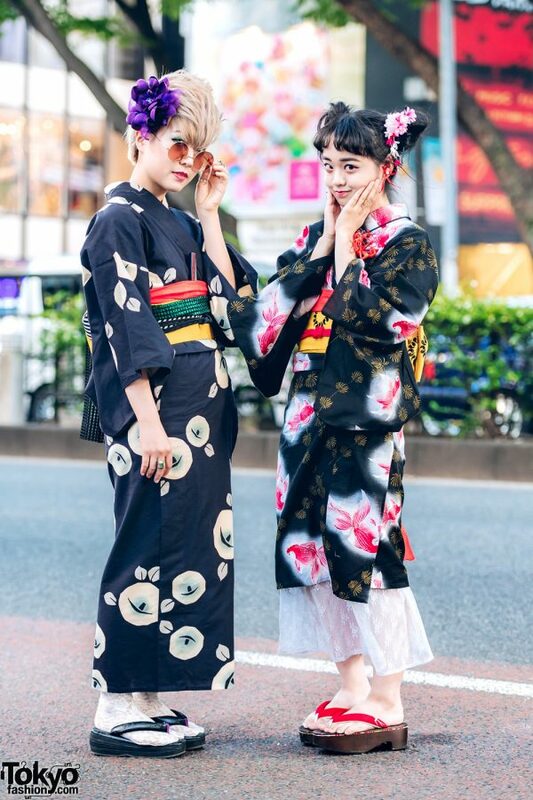 Standing out on the Harajuku street are Fumina and Misa, two 20-year-old students sporting Japanese yukata street styles. Sporting a purple flower headpiece on her short blonde hair, Fumina stepped out wearing a black handmade yukata with white leaf prints, which she styled with a resale multicolored and mixed fabric obi belt. She finished off her look with white lace tabi socks from Tutuanna, black floral print geta sandals from Mamechiyo Modern, and accessories such as Sanbiki No Koneko sunglasses, and multiple knuckle rings. Fumina rounded out her look with red lipstick and striking green eye makeup. Fumina lists Zara, Milkboy and Vivienne Westwood as her fashion favorites, and she listens to the music of Spitz. Fumina is active on Instagram. 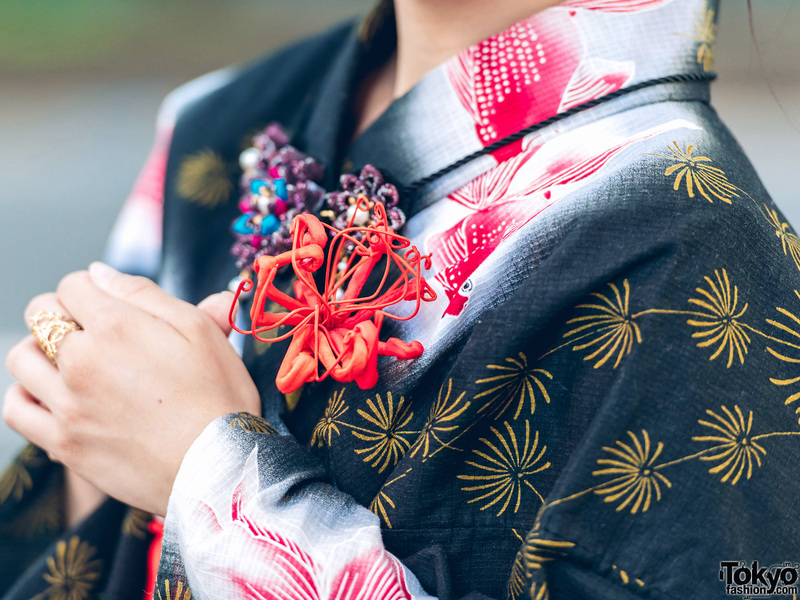 Meanwhile, Misa is also wearing a handmade yukata styled with red koi fish prints and gold leaf prints. 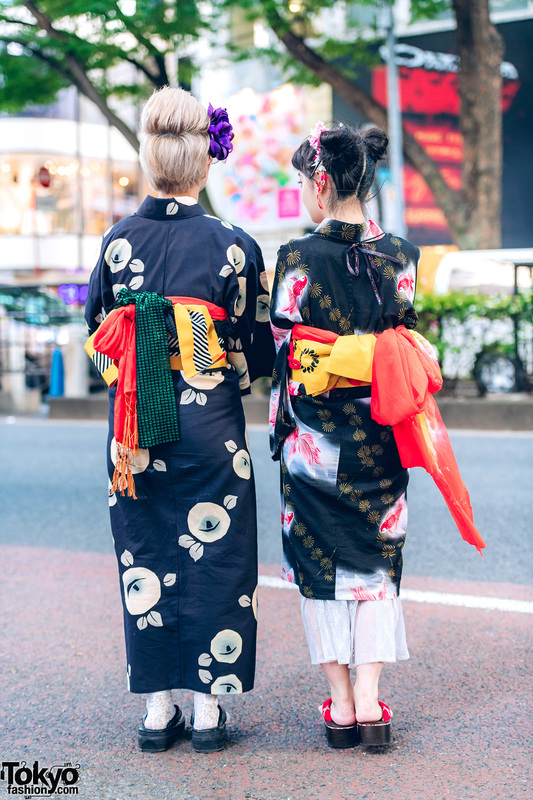 She styled her yukata with a red-and-yellow obi belt from Tansuya, a red rope obi accessory from Chicago, and a white lace skirt underneath. 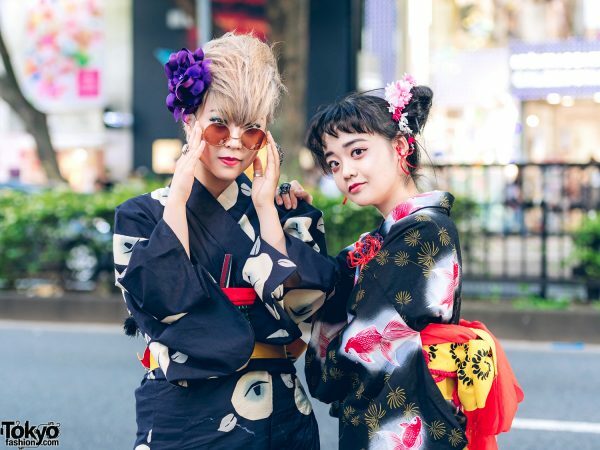 Misa styled her hair up in twin messy buns, decorated it with a pink floral headpiece, and accessorized with red bow earrings, a red handmade floral brooch, and a gold knuckle ring. 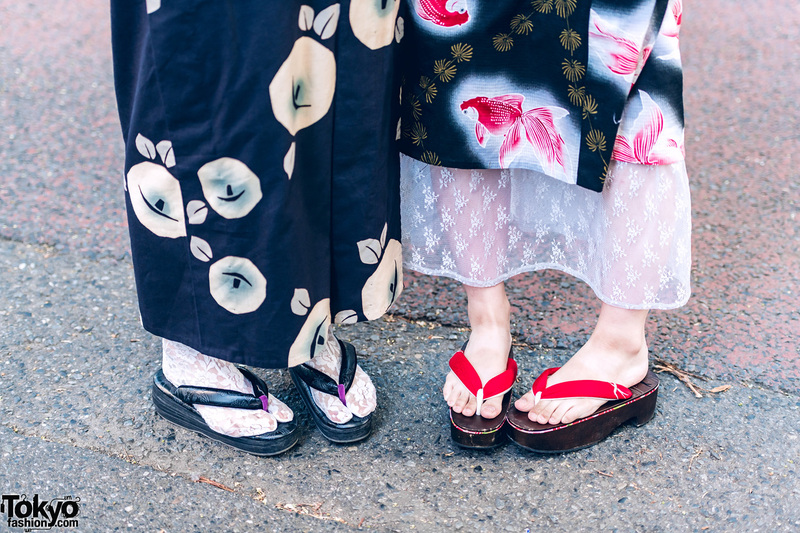 The 20-year-old slipped into red geta sandals from Tokyo135˚ to complete her look. 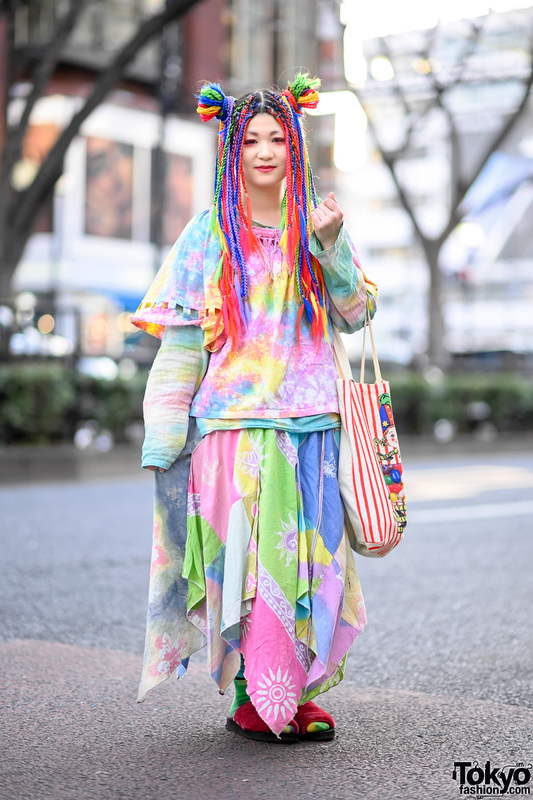 Misa likes to shop at Axes, and she likes the tunes of SixTones. For more on Misa, follow her on Twitter.